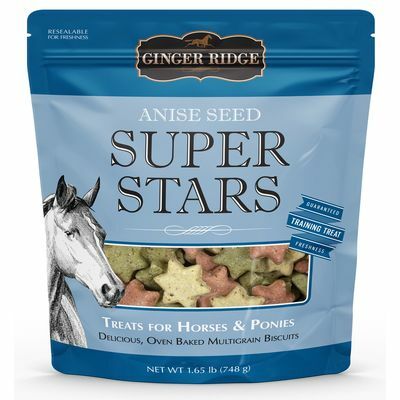 Delicious multigrain biscuits made especially for horses and ponies. 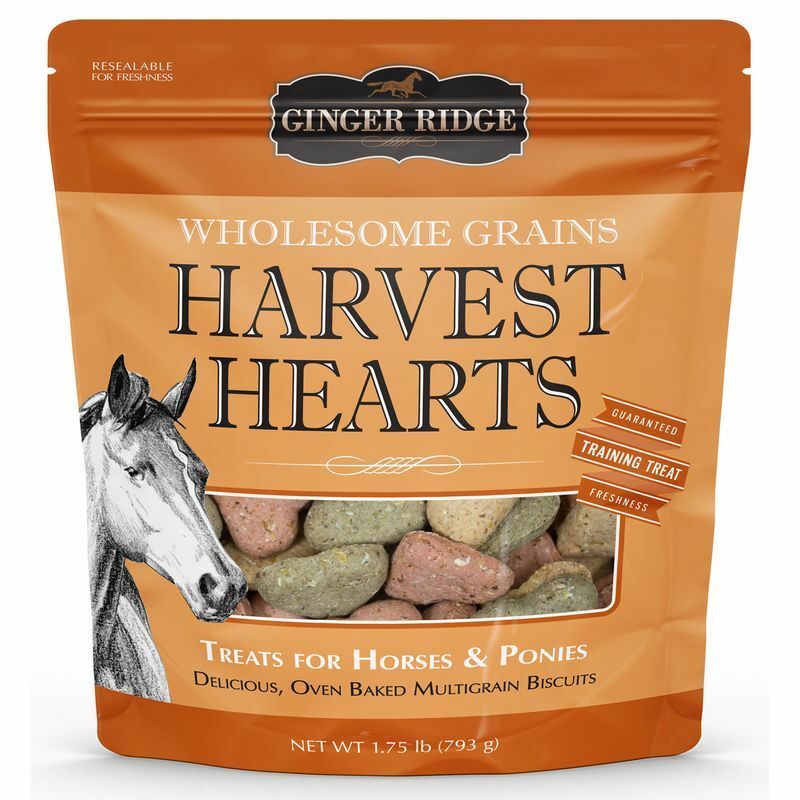 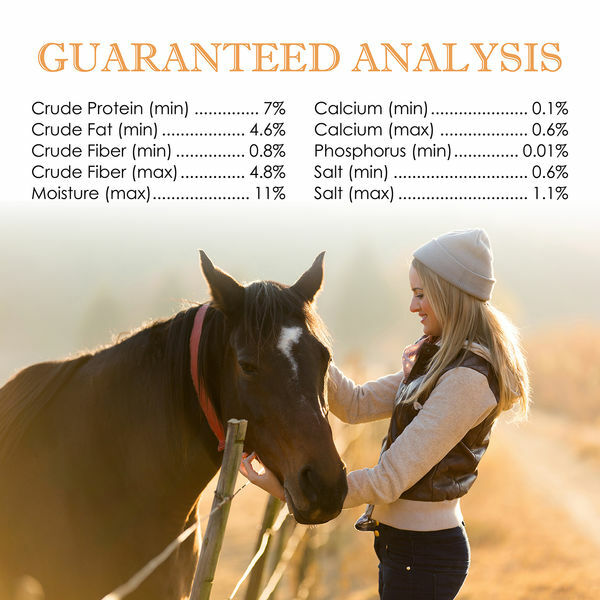 Ginger Ridge Harvest Hearts are made with equine-friendly ingredients that both you and your horse or pony will love. 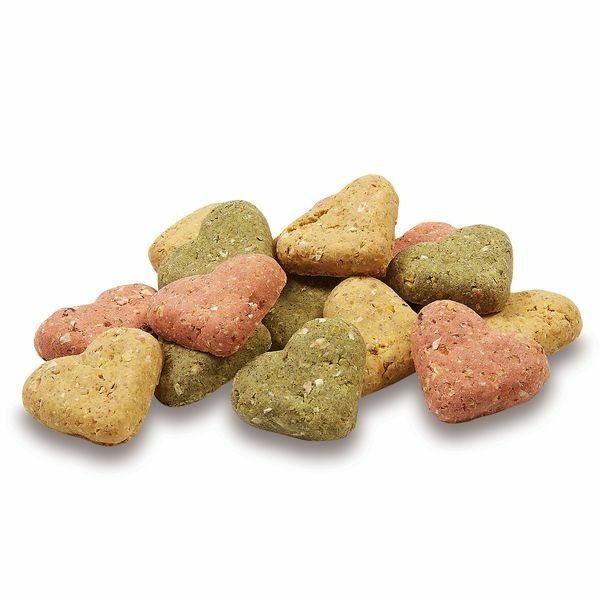 These small, heart-shaped treats are made without any artificial flavors, naturally preserved, and are hard baked to a crunchy texture so they won't crumble in your pocket. 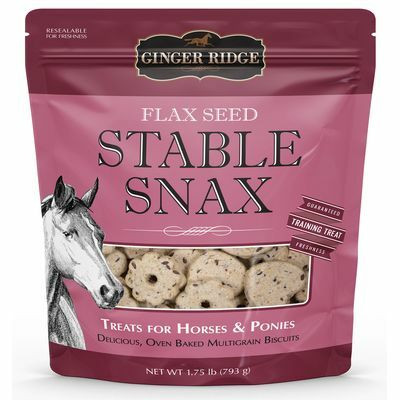 Offer Ginger Ridge Harvest Hearts to your horse or pony as a training treat, reward, or take along on the tail for a quick and tasty snack. 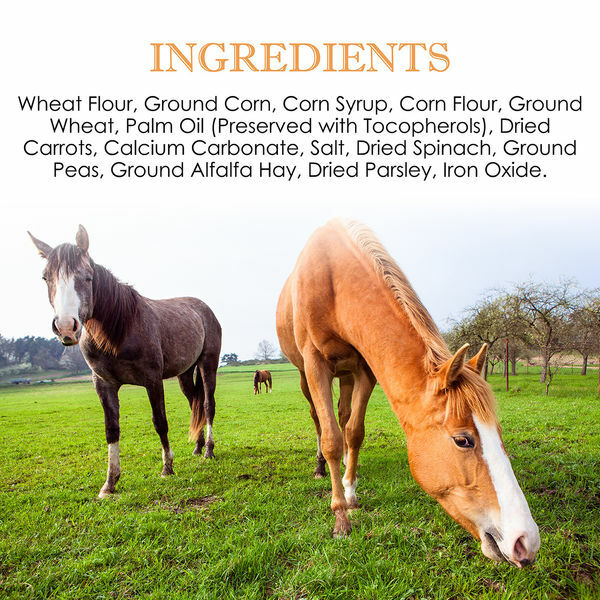 Wheat Flour, Ground Corn, Corn Syrup, Corn Flour, Ground Wheat, Palm Oil (Preserved with Tocopherols), Dried Carrots, Calcium Carbonate, Salt, Dried Spinach, Ground Peas, Ground Alfalfa Hay, Dried Parsley, Iron Oxide.